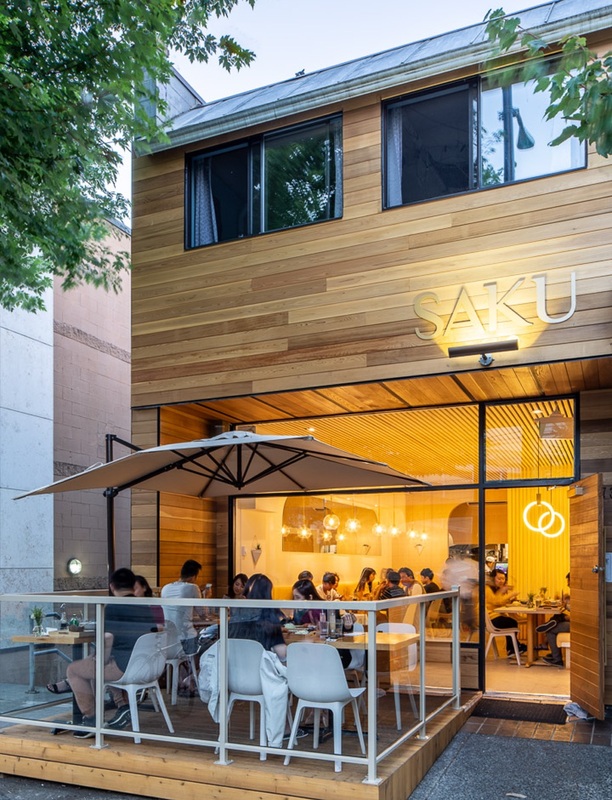 Vancouver’s Saku, a 56-square-metre tonkatsu restaurant designed by Emily Danylchuk, pairs a soothing colour palette, vintage wallpaper and slatted-wood ceilings with Japanese comfort food. 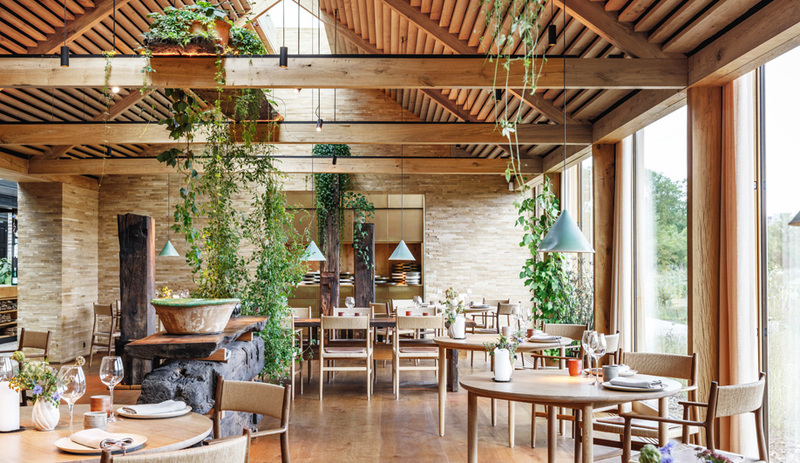 In the restaurant world, hyper-focused menus are distinctly on trend, with eateries devoted to a single dish or ingredient – from ramen to French fries to oatmeal to Nutella – sprouting up in cities around the world. 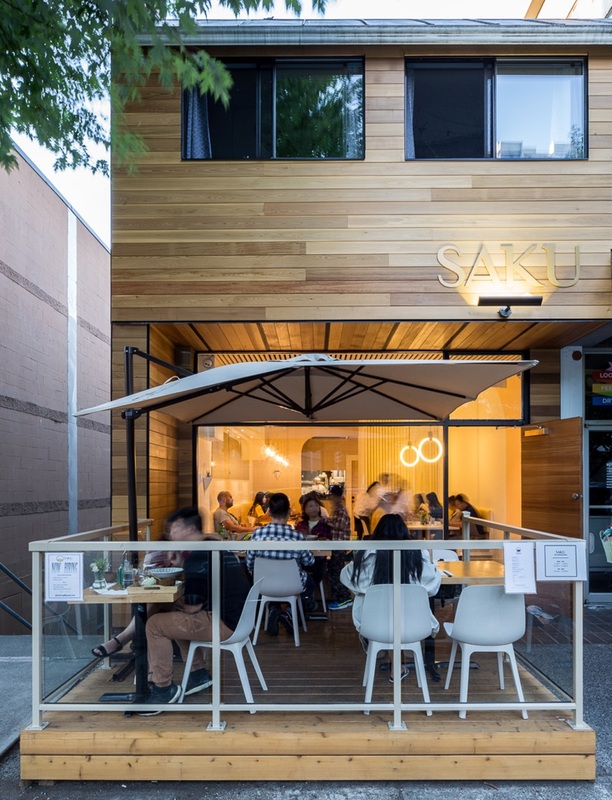 Take Saku in downtown Vancouver. Occupying a 56-square-metre renovated space on Robson Street, the restaurant serves up Japanese tonkatsu – the deep-fried, lightly breaded pork cutlet commonly paired with brown sauce and shredded cabbage – in a setting that’s just as singular. 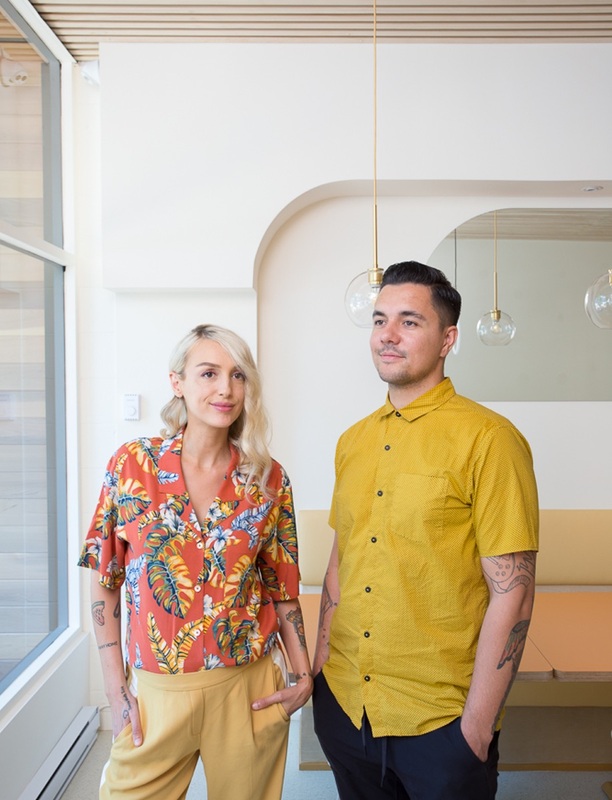 As designed by Vancouver-based Emily Danylchuk, it nods to traditional Japanese influences while incorporating a variety of retro Western touches. 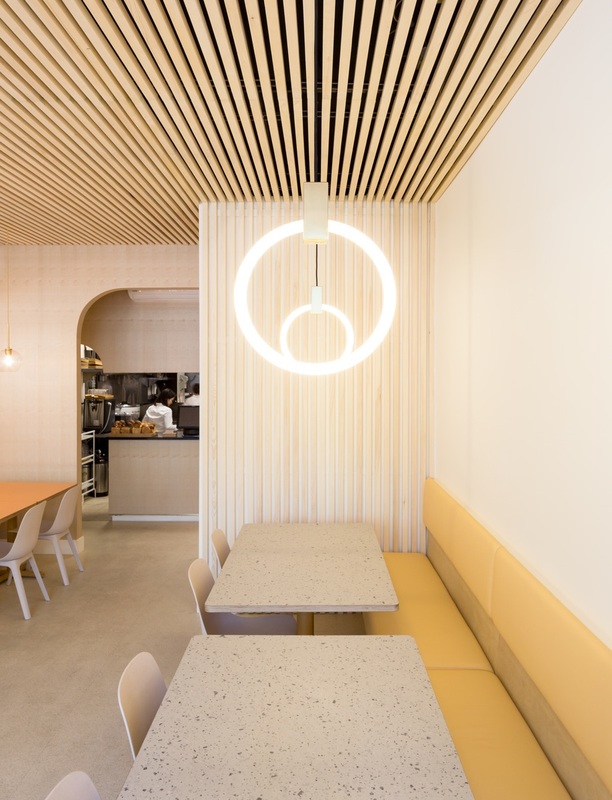 Among those tones are a pale peach, a buttery yellow and a creamy white – appropriately delicious shades for an eatery. 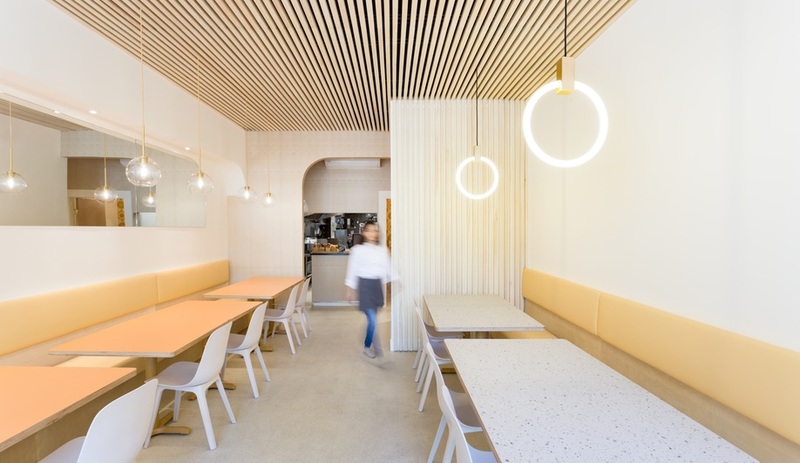 Complementing this palette are curved interior wall features that soften and elevate the multi-unit commercial box, a compact rectangular space that seats approximately 18 diners (plus an additional 10 on the patio out front). 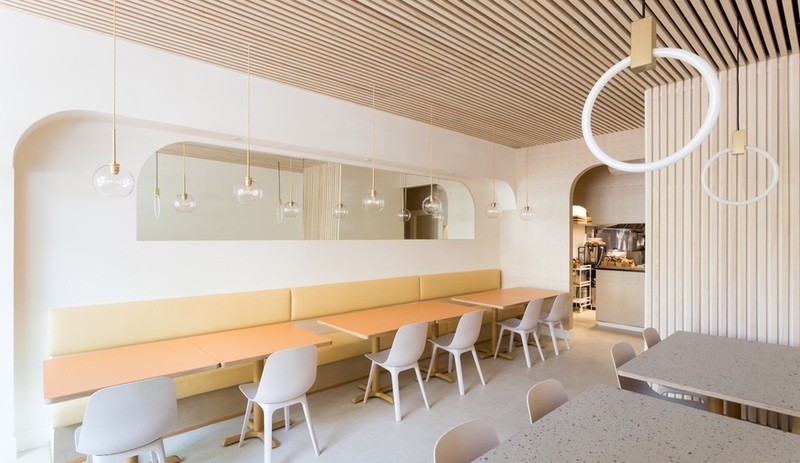 A slatted-wood drop ceiling cascades down one feature wall, evoking the use of wood in traditional Japanese restaurants. Long banquettes, meanwhile, both maximize seating space and suggest a retro diner. 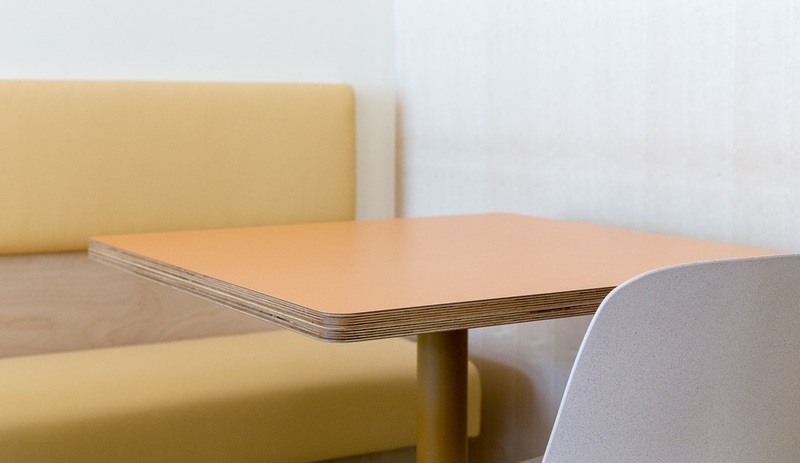 The latter effect is heightened by stacked-maple Formica-topped tables. 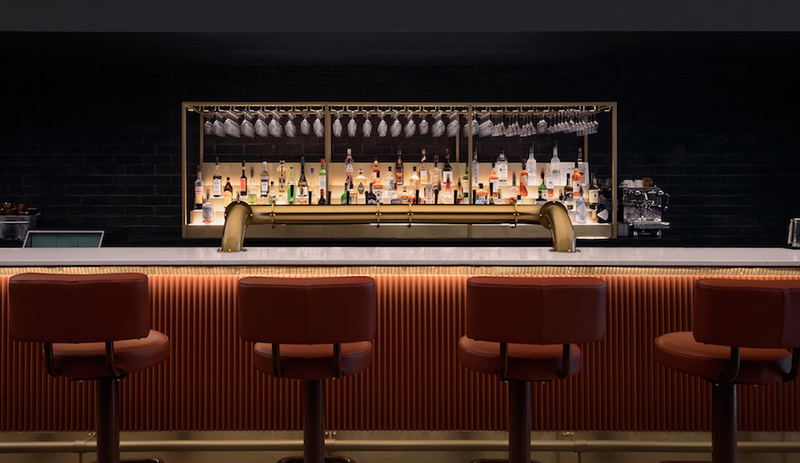 To offset these “humbler” elements, Danylchuk injected a few luxurious touches, including a pair of 16-inch Halo pendant lamps by acclaimed Vancouver lighting designer Matthew McCormick. 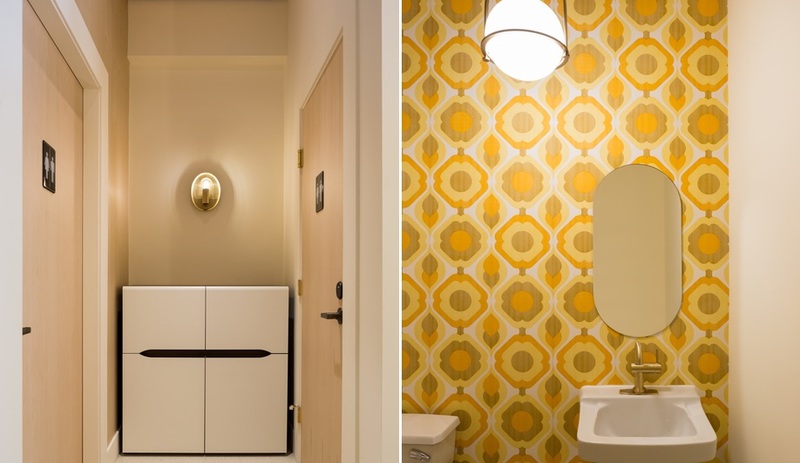 In the restaurant’s bathroom, moreover, “kitschy” wallpaper imported from Italy “is meant to bring an unexpected smile to one’s face.” The paper is original vintage stock circa the 1970s. Reflecting its home city’s eco-mindedness, Saku’s various sustainable elements include the use of Formica’s Paper Terrazzo laminate (made of recycled offcuts of recycled solid laminates) and furnishings such as IKEA’s Odger chair (crafted from reclaimed wood chips and recycled plastic). 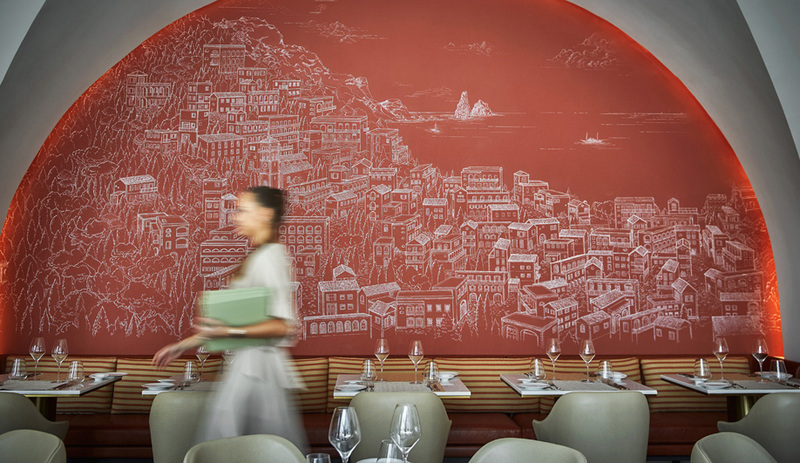 The restaurant is also compliant with the City of Vancouver’s ASHRAE energy-use standards.